Home » Softwares » How To Convert The Videos On YouTube To WAV File? Are you looking for the ways to convert YouTube to WAV file format? If yes, then you’re at the right place to know about the best converters! YouTube, the 2005 founded website is the largest online video sharing site that has a collection of millions of songs, movies, and other videos. People who love listening music, watching movies, series and other entertainment or informational videos can make use of it more than spending your leisure by wasting time into any other works, it is said that watching anything in videos or listening audios help you to remember things better. Nowadays where the internet has become affordable and available for everyone within their hands, people can get information about anything from their gadgets, which resultantly increased the people using YouTube. Recently, a statistics conducted about YouTube and its users, it was found about 5 billion videos are watched on YouTube every single day with 30 million visitors per day and has 1.5 billion logged-in monthly users watching videos. This made the famous and newbie media companies, production houses, music bands, artists, and vloggers to start their own YouTube channel, eventually making it a one stop destination for watching videos. It was reported in 2014 that the Youtube accounts 40% of the overall music listening around the world, which was revealed by Mr. Jimmy Lovine, Apple Music (and former Universal Music Group) executive. The site and its app have become the source to listen to flawless music or any other contents from anywhere in the world while they are recorded as free or Creative Commons media. It has become common now that the movie production company is releasing songs or music videos from their upcoming movies as a new way of a promotional method. Fans and other users who love to watch the videos repeatedly may wish to download it and save it for offline viewing. But still, the facility doesn’t offer its user to save the files on microSD card or to transfer/share to other devices. As the smartphones, tablets and other gadgets have become a daily need for the current generation which helps in lot many purposes, the users connected to the internet is more likely to watch videos by live streaming. What if there is no internet and the user can’t wait to watch the videos, then the only option is to download the YouTube Videos in offline. It isn’t too challenging task to download videos from YouTube like websites, to know about “How to download YouTube videos” check out my previous post that covers deeply on it along with different apps and websites for downloading YouTube videos. The apps will allow the user to download videos in various qualities, formats like mp4, 3gp, Avi, etc. and also in audio formats like mp3, mp4a, and acc. The YouTube Red is a paid membership feature of the website for the users who want to save the files to their phone to watch offline. Other than this, without any payment, the user can get the files to the download source and get the copyright-free content. For the users who need to use the audio extract from the videos from YouTube, they can’t avail the lossy MP3 or AAC file which will have the noticeable strain in the audio. They can go for the best format, which is a vintage one, the WAV another lossy format but still, gives an excellent output without the AIFF or FLAC lossless files, it is the best solution for non-professional content creators. It is the abbreviation of Waveform Audio File Format; it describes the oldest audio format supported by the Windows Operating System. It was most commonly used before the mp3 came to exist and eventually replaced it since the WAV was massive. The WAV format wasn’t suitable for the internet with slow speed, while it was supported by almost every audio player devices and can be burnt on CD. WAV format gives much higher and clearer sound quality that enhances users audio listening experience, converting HD videos into WAV doesn’t reduce its quality, unlike mp3 conversion. There are so many websites and application for smartphones as well as the desktop users that help users to download the YouTube videos in the app or from the website. The user just needs to copy the URL of the preferred video that is required to download and paste in the input text box, select preferred format and resolution then click on the download button to start downloading. If you don’t know how to download Youtube Video in WAV or to convert it to WAV formats, this post is regarding the same, and I also discuss on How to convert Youtube to WAV file. The best solution for the smartphone, tablet and PC user to convert the Youtube Videos into WAV directly from the website itself. The website is really easy to use, like all other YouTube downloaders, it also supports downloading in mp3, mp4, and mp4 HD formats. To download in WAV format via YouTube to WAV online site, paste the URL of the video in the text-input bar and tap the “Download WAV” button and the website will automatically process the link and start the download to your computer. While testing the youtubeto.com we received 4-min video file in its the audio WAV format at an enormous size of 39.5MB worth the bitrate of 1411kbps, which is great for creative uses also the sound was beyond awesome. The YouTube is also available as chrome plugin, if you’re looking for a quick solution to download youtube videos then add “to” to the URL of video link, which makes it worth to bookmark in your browser. The website is almost ad-free which is a great advantage for the users. The Online Video Converter is a cloud converter that allows its users to convert the video files from youtube to WAV format. It also supports sites other than the youtube like Instagram, vk.com, vimeo.com, etc. to convert to formats including MP3, OGG, AAC, FLAC, WMA, WAV, M4A, MP4, AVI, MOV, MPG, MKV, FLV, WMV, WEBM, M4V, and 3GP. The site has been upgraded to its v3.0 with mesmerizing feature including compatibility to latest browsers, high-speed conversion, unlimited free conversions, with download support to major online video portals. The website is free from clumsy disturbing ads also has a very simple and clean user interface. The user can easily download videos by converting into the formats of their like, first of all, they need to copy the link or URL of the video they want to convert and then choose the format of their choice from the dropdown list. Now, click the start button to begin the conversion, once the conversion is successfully completed, the download link will be popped up hence the user can download it. Upon, saving the download, an ad was also displayed to save yourself from these ads you better use an ad-blocker in your browser. The website doesn’t ask for any registration, and the quality of downloaded audio in .wav format was outstanding which is also better for use in creative contents. This online converter is also available in extensions for the popular browsers like Google Chrome, Firefox, and Safari browsers that enable you to download YouTube WAV files quickly within minutes. It is an amazing online service that aims to provide their user with a cloud solution to convert files to various formats, which also converts the video files into audio files in different formats of user’s choice. Users can actually convert their files into hundreds of different formats including audio, video, image, eBook, archives, and document types of files. 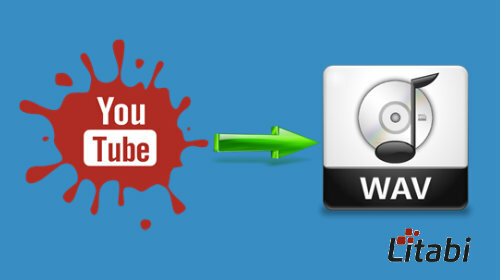 This YouTube To WAV online converter is a quick solution to convert specific files to other types without installing it to your device, supported on smartphones, tablets, and computers. The YouTube videos or audio files can be converted to Wav by pasting its URL in the text box, then click on “Download and Convert” button. You can also convert files to Wav format by uploading in batch, click on “Add Files” or Drop Files to add and press “Start Convert” and it’ll convert automatically then send you the link to download the converted audio file. The uploaded files will exist for a day, which then will get deleted automatically. You don’t require to sign-up for its basic services; the user needs to be registered to enjoy its premium features. The YouTube To Wav converter evidently makes a great destination for converting files to formats that user requires, along with unit conversion feature. These are few apps that will help you to convert the videos that you like to audio formats including WAV, MP3, etc. Both are paid YouTube WAV downloading apps so that you need to purchase it to use it. However, you may try these tools for free to convert YouTube to Wav files. The KeepVid Pro is a great YouTube To WAV Converter that is worth trying. 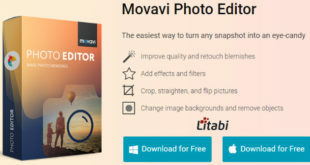 It is the desktop application which has the feature to convert Youtube Video to WAV available at a price of $19.95 for a one-year subscription. It is another most recommend service for getting it done, with supporting more than 10,000+ sites and almost all formats available. KeepVid Pro can be considered as a legitimate source for downloading the videos in Wav format. iTube Studio is also a reliable and popular downloader for both Mac and Windows users, but it requires to download the Youtube video first then to convert it to the desired format, so higher the video quality better will be its audio file in the specified format. If you want to know about the application, it is available for free trial for a limited period. Much like the KeepVid Pro app, it also supports 10,000+ sites and 130+ formats. It comes with features like Batch Downloading at higher speeds, Downloading High-Quality Videos ( including 4K UHD, 4K, 1920P), and a Player Plugin. Just try this tool for no cost to change your preferred YouTube to Wav format. These sites listed here make a great option for all device or cross platform users who needed to convert the videos on YouTube to WAV format. I hope this post has helped you to attain the WAV audio file of the video of your choice for free with ease of use. You should keep in mind that, it is illegal to download media from Youtube without owner’s or Youtube permission that restricts the user from offline downloading, so proceed at your own risk. The WAV file with high-quality bitrate may help you to use in your video or audio projects, but be sure that the videos posted on Youtube come under creative licenses under Youtube’s terms and conditions. So if you’re reproducing the content or utilizing it with any of your projects, then please make sure that you obey all the rules, also get permission from the original creator who has its copyright or if it is Creative Commons licensed then give its proposed credit with your products. So, what is your opinion of these tools? Do you know any other great YouTube to Wav converter free? Share your viewpoint in the comment section.